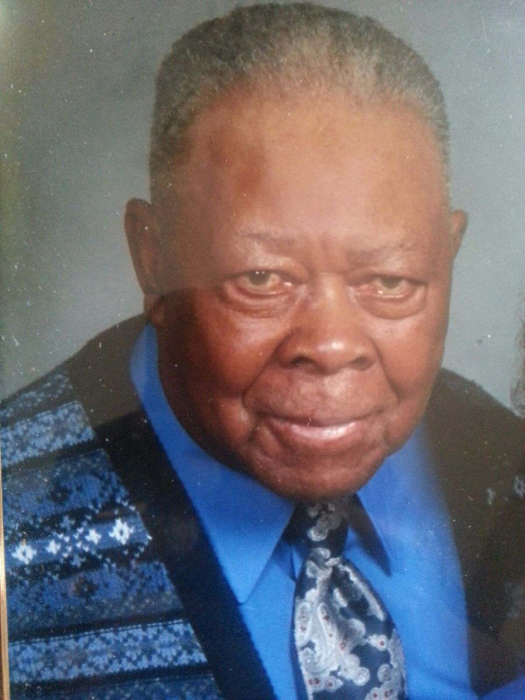 Obituary for Fred Jackson | Marcus D. Brown Funeral Home, Inc.
Mr. Fred Jr. Jackson, formerly of Quinn Street in Anderson, SC, entered into this life on April 15, 1931 and transition to his new life on November 14, 2018. He was the son of the late Mr. Sylvester and Mrs. Mary Mattison Jackson. ​He was known to many as “Mr. Fred”, “Dad”, “Grandpa, and Uncle June. He joined Taylor Memorial Pentecostal Holiness Church of Anderson several years ago where Rev. Brent Lollis is the pastor. He loved the Lord and was known to many as a joking and fun person to be around. Mr. Fred was part of the “Golden Age group” at Taylor’s Memorial Pentecostal Holiness church. He leaves one daughter, Rachel Floyd of Asheville, NC; three grandchildren, Robert and Crystal Caldwell of Disputanta, VA, Steve and Shavonne Darity of Fletcher, NC, Marcel and April Andrews of Asheville NC; ten great grandchildren; five great-great grandchildren; and a great host of nieces and nephews. He was preceded in death by his late wife, Ruth E. Jackson; five sisters, Adelle Sampson, Dollie Anderson, Margie Barmore, Ollie Crawford, and Sarah Donald; four brothers, Johnny Jackson, Clyde Jackson, Dennis Jackson, and Nathaniel Jackson. The funeral service will be held at 11:00 a.m. on Saturday, November 24, 2018 at Taylor Memorial Pentecostal Holiness Church. The interment will follow at Flat Rock A.M.E. Church Cemetery in Abbeville, SC.